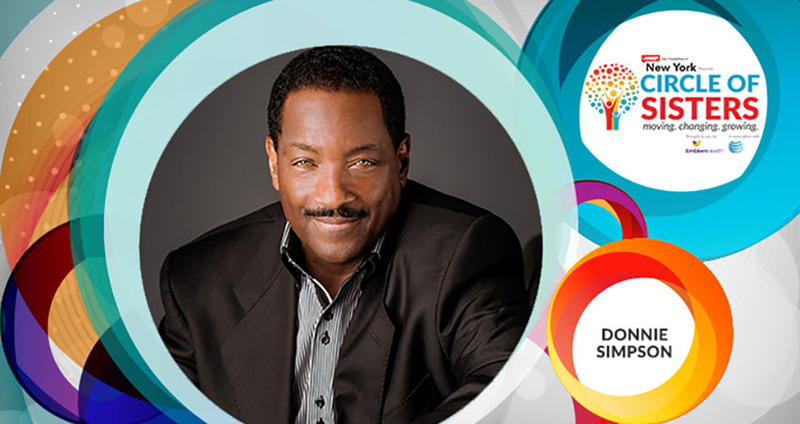 Donnie Simpson is a national spokesperson and active member of AARP. Donnie participates in national events such as The AARP Block Party and Life@50+ where topics such as caregiving, and Love in the latter years, are discussed. Donnie has also hosted a #RealTalkAboutCare Twitter chat, lending support to AARP's caregiving campaign, and sat down with Grammy award winner, Regina Belle, for an intimate conversation about her personal caregiving experience. On July 11, 2018 Alpha Kappa Alpha Sorority, Inc. partnered with AARP to present "Believing In Magic" with Cookie Johnson during the sorority's 68th International Conference. Cookie Johnson, wife of NBA legend Earvin "Magic" Johnson, shared details of her marriage, motherhood, faith, and how an HIV diagnosis twenty-five years ago changed the course of their lives forever. "Believing in Magic" is Johnson's story told in her new memoir. 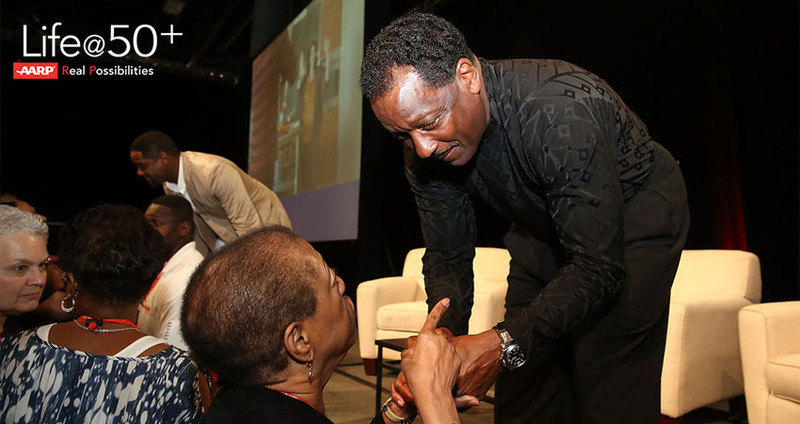 Her talk with the ladies of Alpha Kappa Alpha was led by DJ, TV host, and entertainment personality Donnie Simpson. In June 2017, Donnie promoted the “AARP Old School Real Cool” station on Pandora throughout the entire month to commemorate Black Music Month. On July 2, 2016, AARP hosted an event at The Links, Incorporated 40th National Assembly. It was a panel discussion about disrupting aging, called Fearless & Fabulous At 40 & Beyond. "I think I was the Beyond," said Donnie. 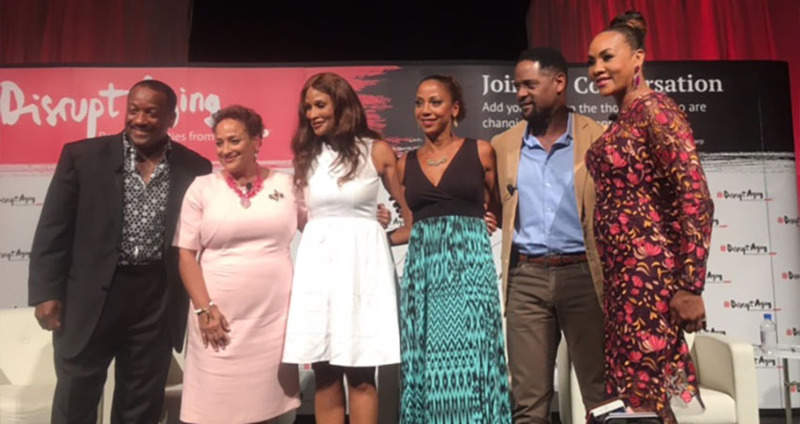 He was joined by Blair Underwood, Vivica A. Fox, Holly Robinson Peete, AARP CEO, Jo Ann Jenkins, and super model, Beverly Johnson. "We had a ball and everyone said it was the talk of the weekend." Donnie said. 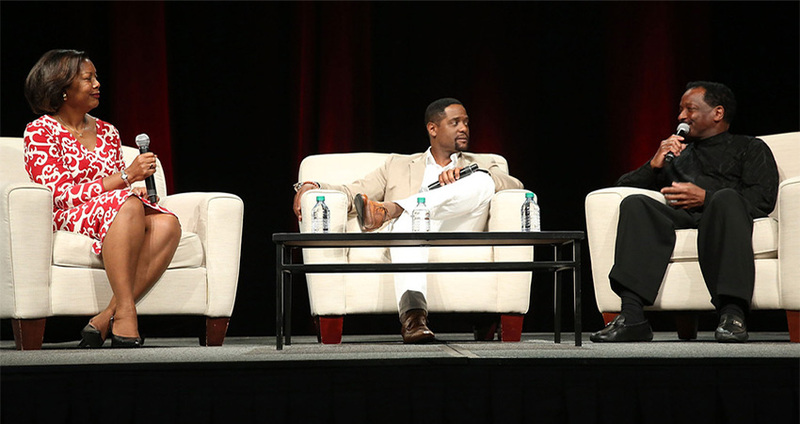 On May 16, 2015, attendees enjoyed an engaging conversation with Donnie and television, film and stage actor and director Blair Underwood. These two greats spoke about their decades of experience as television and radio stars, the current state of affairs in entertainment media and what the future holds for entertainment in a session entitled, "Reminiscing — A Conversation about Hollywood Radio and Fame." Edna Kane-Williams, Vice President, AARP Multicultural Markets and Engagement, moderated the discussion. Check out AARP's website and Donnie's News and Events page to learn more about upcoming AARP activities. Award-winning vocalist Regina Belle shares her experience providing care to her brother, who suffered a stroke. 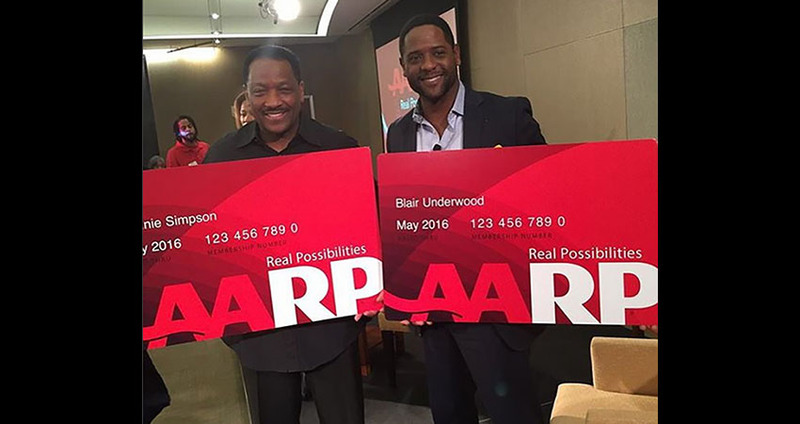 Entertainment legends Donnie Simpson and Blair Underwood stop by AARP Studios to talk about turning 50 in "This is 50!" Subscribe to our e-mail newsletter for Donnie's latest news and events.